Stateline Trade Center & Flea Market. Highway 171, 10 miles Southeast of Pittsburg, KS. Hours Friday-Saturday 10am-8pm, Sunday 1am-6pm, Monday 10am-6pm. Used merchandise, country and farm collectibles, decorator items, advertising items, primitives. Indoor market with approx 25 dealers. Snack bar, restroom, h/a. c/p Donna Lair, (417) 642-5850. Highway 39 Merchants Flea Market. 4-1/2 miles south of Walmart. Hours 9am-6pm. Used merchandise, garage sale items, country collectibles, crafts, produce. Food available, restrooms. (417) 678-6314. No Vendors - No Crafts - No Junk! Coffelt Country Crossroads. State Highway 165. 1/4 mile south of Highway 76. Average daily attendance 300. Dealers range from 20-100. 13 permanent shops. Ice cream shop, candle shop, quilts, wood signs, etc. Very interesting and enjoyable country market. All types merchandise. Market is located in the heart of country music's new "Nashville". Branson is packed with tourists during the summer months. Restrooms and snackbar, h/a. Space from $5. daily. Tables and electricity available. c/p Sandra Smith, HCR 5, Box 1829. (417) 334-7611 or 334-1282. Antique Flea Market. Fairgrounds. Nice country market with crafts, collectibles, antiques, food and some new items. Ample parking, h/a, food, restrooms. (573) 334-2451. Flea Market. Old Furniture Building. Hours 10am-5pm. Collectibles, furniture, glassware, silver, jewelry, lots of secondhand merchandise, trash & treasures. (417) 358-1901. Carthage Route 66 Antique Mall & Flea Market. 1221 Oak Street. 64836l. 100+ dealers. New & used items, air conditioned, lots of good Route 66 collectibles. (417) 359-7240. Deants Antique Mall & Flea Market. 1200 Oak Street. 64836. Indoor market, with over 100 booths, lots of good collectibles and secondhand merchandise here. (417) 358-6104. De Ole Garage Antique Mall & Flea market. Highway 112 South. 65625. Hours Monday-Saturday 10am-5pm. Sunday 12:30-5pm. Antiques, collectibles, primitives, glassware, jewelry, tools, linens. Lots of secondhand merchandise. New market. (417) 847-5919. E & E Flea Market. 5 miles North of town on Highway 37. Hours 9am-5pm. Used merchandise, garage sale items, collectibles, decorator items. c/p Elizabeth Schaar, Rt. 1, Box 1567. 65625. (417) 847-3888. Flea Market. Highway 65. Ample parking. Used merchandise, garage sale items, bric-a-brac, crafts, produce, country collectibles. Food availabe, restrooms. Market open May-November. Stop N Scratch Flea Market & Antiques. 1907 N. Providence Plaza 65202. Hours Monday-Friday 9am-7pm. Saturday 9am-6pm, Sunday 11am-6pm. Antiques, sports memorabilia, glassware, primitives, advertising items, toys, linens, collectibles. (314) 443-8275. Morton's Flea Market. Highway 63 South. Approximately 25 dealers. New amd used merchandise, souvenirs, collectibles. Indoor market. (314) 449-6306. Midway Flea Market. Highway 40. Used merchandise, garage sale items, collectibles, crafts, produce. Food available. (314) 445-6717. Bear Ridge Antique & Collectible Flea Market. Highway 17, 7 miles North of Waynesville. 65452. Hours Monday-Saturday 9am-5pm. Sunday 1pm-4pm. Glass, jewelry, crafts, paper items, Americana, dolls. (417) 736-5858. Old Timers Flea Market. Highway 60 West. Collectibles, farm and ranch items, used merchandise, garage sale items, bric-a-brac. (314) 624-8288. Indoor Flea Market. I-44 Frontage Road & MM 179. Free adm, ample free parking. New and used merchandise, gifts, souvenirs, jewelry, glassware, silver, crafts. Snack bar. c/p Alice Jones, (314) 762-2065. Eldon Flea Market. Highway 54. Free adm, ample free parking. Used merchandise, garage sale items, bric-a-brac, crafts, produce. Food available. Outdoor market, space from $3. per day. Camping available. New Market. Market open April-October. (573) 392-7113..
Farmington Flea Market. 4602 Highway 67, 1 mile north of town. Hours 9am-4pm. Free adm, ample free parking. Approximately 60-80 vendors. Outdoor market. Antiques, collectibles, memorabilia, primitives, country, sports items, brewery items, crafts, art, etc. Also, new and used merchandise. Snack bar, restrooms, h/a. Space from $5. c/p Manager, 4602 Hwy 67, 63640. (573) 756-1691. Very nice antique mall next door to this market. Kelly Springs Antique Mall & Flea Market. Highway 71 South. Collectibles, Coca Cola memorabilia, cast iron, quilts, dolls, jewelry, glassware. (417) 364-7799. Granby Flea market. 4 miles East of Alternate Highway 71 on Highway 60. Hours daily 9am-5pm. 40 inside dealers. Collectibles, flea market items, antiques. Outdoor set ups available on weekend, weather permitting. Camping w/electricity available. (417) 472-3532. Hillbilly Park Flea Market. Highway 67, 8 miles South of Greenville. New merchandise, used merchandise, crafts, collectibles, furniture, produce. Food available. New market. Space from $8. (314) 297-3522. Bonanza Flea Market. 110 Church Street. Used desirables, new merchandise, collectibles, crafts, produce. Snack bar. Inside and outside spaces. (314) 248-1505. Iron Kettle Antiques & Flea Market. South of Highway 50 on 131 Highway. 9 miles from Holden, East on Highway 58, 3 miles. Hours Saturday 1pm-5pm, Sunday 1pm-6pm. Glassware, furniture, collectibles, baseball cards, jewelry. (816) 732-4031. Lloyd's Flea Market. Highway 17, east of town. Outdoor market with approximately 50 dealers. New and used merchandise, some small antiques, good selection of collectibles and memorabilia. Snack bar, restrooms, h/a. Space from $3. c/p Lloyd Ayers, Sr. Rt. 1, Box 211. 65483. (417) 932-6656. Joplin Flea Market. 1200 Virginia Avenue. Free adm, ample free parking. Inside & outside space. Approximately 150 dealers. This market has 40,000 square feet of exhibit space. Heavy on used amd flea market items, some antiques and collectibles. Inside and outside space available Space from $5. c/p LaVerne Miller. 2572 Markwardt Ave. 64801. (417) 623-6328 or 623-3743. Rusty Nail Flea Market. 3004 Silver Dreek Drive. 2 blocks South of I-44 on 71 Highway. Exit 8A. Hours 9am-5pm. Antiques, collectibles, dolls, furniture, crafts, jewelry, primitives. (417) 624-7157. North Main Street Antique/Craft Mall & Flea Market. 5 miles North of I-44 on Highway 43, (Main Street). Behind Lumberjack Carpet. Hours Monday-Saturday 9am-5pm. Sunday 12am-5pm. New market. Air conditioned. Outside space available on weekends, weather permitting. (417) 781-9700. Hickory Hills Flea Market. Highway 136, between Kahoka & Wayland. 15 miles east of Keokuk, IA. 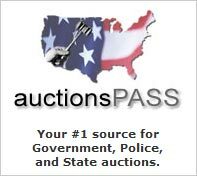 Antiques, collectibles, used merchandise. Food available. Space from $4 daily outside. Camping available. c/p Gloria Johnsierken, Rt 3, Box 65. (816) 727-3769. Nate's 63rd Street Swap Meet. Drive In Theater. Highway 50 East and I-435. New and used merchandise, crafts, collectibles, produce. Snack bar. (816) 353-1627. Waldo's Flea Market. 224 W. 75th Street. Ample parking. East of Broadway. Used merchandise, garage sale items, collectibles, decorator items, gifts, imports. Snack bar, restrooms. (816) 363-9938. Things Unlimited. 817 Westport Road. Approximately 75 dealers. New merchandise, sportswear, tools, jewelry, watches, sports merchandise, housewares, electronics. Used merchandise, glassware, primitives, kitchen collectibles, crafts. Snack bar, restrooms, h/a. Indoor market. (816) 931-1986. Kansas City Flea Market. 1775 Universal Street. North Kansas City Market Center. Hours: 8am to 4pm. Market is held monthly from July through December. Call for exact dates. Adm $2. Free parking. Indoor market. Antiques, collectibles, vintage clothing, crafts, jewelry, new and used merchandise. Approx 250 dealers. Space from $58. Per weekend. snack bar, restrooms, h/a. c/p manager. 1153 Bergen Parkway M. Evergreen, CO 80439. (303) 526-5494 or (888) 333-3532. Fax: (303) 526-7339. Westport Flea Market. 817 Westport Road. 64111. (816) 931-1986. Oldest indoor market in the area. 30+ dealers. Lots of collector plates, baseball cards, primitives, postcards, knives, new merchandise and secondhand merchandise. Excellent restaurant next door. Kennet Flea Market. 804 Independence Ave. Approximately 60 vendors. Used merchandise, farm and ranch collectibles, toys, glassware, crafts, produce. Inside and outside space available. Snack bar, restrooms. (573) 888-0078. B & B Flea Market. 600 E. Allen Street. Used merchandise, collectibles, primitives, silver, glassware and a little bit of everything you might expect to find at a flea market. (816) 563-9766. Knob Noster Flea Market. 585 N. Jefferson. Souvenirs, gifts, jewelry, used merchandise, collectibles. (417) 588-7430. Treasure Seekers Antique Mall & Flea Market. West side of town square. Hours Monday-Saturday 9am-5pm. Sunday 1pm-5pm. Antiques, collectibles, furniture, jewelry, silver, coins, glassware, primitives, advertising items, art, prints, books. New market. (417) 682-2900. The Country Corner Flea Market and Antiques. 585 N. Jefferson, 65536. Just off I-44. Hours Monday-Saturday 9am-6pm. Sunday 12pm-6pm. Indoor market with approximately 40 dealers. 7,500 square foot facility. Mostly permanent booths with lots of flea market goods and tourist items. Space from $5. c/p Marilyn Allen, 585 Jefferson St. 65536. (417) 588-1430. Remember When Flea Market. 577 N. Jefferson. Antiques, collectibles, furniture, used merchandise, primitives. Dealers welcome. (417) 588-1029. Hillbilly Al's Flea market. Junction Highways 54 & A-road. New and used merchandise, crafts, collectibles, produce. Snack bar. (314) 346-5890. J & L Flea Market. Highway 13 South. Hours Monday-Saturday 9am-6pm. Sunday 1pm-6pm. Antiques, collectibles, used merchandise. (417) 644-2929. Flea Market. 903 Highway 63 South. Used merchandise, garage sale items, bric-a-brac, crafts, produce and plenty of hidden flea market treasures. Snack bar. (660) 385-1333. Kountry Korner Flea Market. Junction Highways 60 & 265. 65705. Monday-Saturday 10am-5pm, Sunday 1am-5pm. Railroad items, antiques, primitives, furniture, glass, Indian artifacts, western items, books. RV & bus parking. (417) 463-2923. Bobbie's Wishing Well Flea market. 222 S. Crittenden. Exit 100 off I-44. Hours Monday-Saturday 9:30am-5pm. Sunday 12:30pm-5pm. 20 dealers. Antiques, junque, collectibles. Lots of interesting shops in Marshfield make this a great stop. c/p Bobbie Reed, (417) 468-6380. Hidden treasures Antiques & Flea Market. 301 S. Clay. Exit 100 off I-44. Hours Monday-Saturday 9am-5pm, Sunday 10am-4pm. Antiques, furniture, glass, advertising items, crocks, collectibles, toys, tools, clocks, baskets, Teddy bears, primitives,books. c/p Donna Arehart (417) 468-6088 or 468-4165. Mt. Vernon Flea Market. Route 1. Used merchandise, new merchandise, gifts, souvenirs, collectibles. Inside & outside space. Closed Wednesdays. (417) 466-2422. Weavers Auction & Flea Market. 9 miles West of Mountain View. Flea market, animal swap meet, auction on Saturday night. Camping available. RV hook-ups from $7.50 nightly. c/p Wayne Weaver, Rt 3, Box 102, 65546. (417) 934-2160 or 469-3351. Verns Flea Market. 1 mile South of Junction 60 & 71A. Hours Monday-Friday 9am-6pm. Saturday-Sunday 6am-6pm. Collectibles, new & used merchandise, dinnerware, glassware, depression glass, guns, antiques, tools, jewelry. Outdoor setups available on weekends, weather permitting. (417) 451-9565. 71 Craft & Flea. Route 8, 1-1/2 mile North of town on Highway 71. 64850. Open Tuesday-Sunday 9am-5pm. Sunday 11am-5pm. Closed Monday's. Air conditioned. Furniture, primitives, ceramics, collectibles, wood crafts, gifts, books, antiques and secondhand items. For information call: (417) 451-9575. South Elwood Flea Market. Alternate Highway 71 South. Hours: 8am until dark. Seasonal market, Memorial Day through Labor Day weekend. Free adm, ample parking. Outdoor market with lots of covered sheds. New merchandise, gifts, lots of second hand and used merchandise. Excellent selection of tools, both new and used. Wide vairety of in season produce. Rrestrooms, snack bar, difficult terrain for handicapped. c/p Manager, 17895 Kentucky Rd, 64850. (417) 451-5140. Neosho Gallery & Flea Market. 900 N. College. Business Route 60. Hours 9am-5pm. 100 indoor shops here. Antiques, furniture, collectibles, glassware, toys. (417) 451-4675. Chea's Place. 523 N. College Street. 64850. Hours Tuesday-Saturday 10am-5pm. Sunday-Monday 1pm-5pm. Antiques and collectibles. (417) 451-2511. Camel Back Antiques & Flea Market. Junction Highway 160 & Northview Road. 65714. Hours Monday-Saturday 10am-5pm. Sunday 11am-5pm. Antiques, primitives, collectibles & glassware. (417) 725-5125. Red Barn Flea Market & Antiques. 1 Mile West of Highway 160/14. 65714. This market has a little bit of everything from antiques and dishes, collectibles, furniture, memorabilia and concrete yard ornaments. (417) 725-3338. Starlite Flea Market. 5 miles North of Potosi on Highway 21. Average weekly attendance 2,500. Used merchandise, garage sale items, bric-a-brac and junk. Snack bar. Space from $4. Camping available w/electricity. c/p Terry Mercille, Rt 2, Box 123, Cadet, 63630. (314) 438-4974. Wisner's Flea market & Antiques. Highway 13. Collectibles, jewelry, glassware, primitives, memorabilia, souvenirs, used merchandise. (417) 646-8555. Country Junction Flea Market & Baird's Antiques. Junction Highway's 14 & 65 South. 65721. Hours Monday-Saturday 9:30am-5pm. Sunday 1:30-5pm. Large selection antique furniture, glass, jewelry, linens, housewares. (417) 485-8116. Ozark Flea Market. 519 S. Town Center. (East Highway 14). 65721. Antiques, furniture, Coke items, quilts, toys, tools, primitives, advertising signs. (417) 581-8544. Jose's Flea Market. 233 W. Main Street. Hours 9:30am-5:30pm. New merchandise and new and secondhand furniture, bric-a-brac, garage sale items. The Little Red School House Flea Market. Vo-Tech Road, South of Bonne Terre. Hours 10am-6pm. Antiques, collectibles, secondhand items, tools, bric-a-brac, new merchandise. (636) 358-0570. Approximately 400 dealers. Excellent market year round. Arrive early for outdoor space, Reserve in advance for Market Square. Indoor, outdoor and covered spaces. Indoor buildings have many quality booths offering a large variety of mostly new merchandise. Outdoor vendors offer mostly second hand merchandise and garage sale items with tons of new things to see each week. Great food available with clean restrooms and plenty of parking. Monthly entertainment promotions. Call or check our website for the most up-to- date info. Flea Market. Next to livestock market. Ample parking. Used merchandise, garage sale items, farm & ranch items, housewares, clothing, produce. Food available, restrooms. Mainstreet Market. 207 E. High Street. 63664. Antiques, glassware, collectables, period furniture, toys, books, quilts Indian articles, western memorabilia, coins. (636) 438-7731. West County Flea Market. 336 N. Highway 60. 65738. Hours Monday-Saturday 10am-5pm. Sunday 1pm-5pm. Antiques, collector items, dolls, Precious Moments collectibles. (417) 732- 8415.
glassware, dolls, toys, jewelry. (816) 827-5860. The Living Rock Sell R' Swap. 226 Clinton Ave. 65746. Old Highway 60. Hours 10am-6pm. Antiques, collectibles, crafts and lots and lots of secondhand junque. c/p David Winter (417) 935-2743. Tradewinds Flea Market. 875 Malone Avenue. Old highway 60. Hours dawn to dusk. Ample parking. Average daily attendance 3,500. Approximately 200 dealers. Indoor market. Wide open market, lots of new merchandise, sports related merchandise, sportswear. Some good collectible booths, glassware, silver. Also, crafts, art, decorator items. Good market for winter time selling. Snack bar, restrooms, h/a. Space from $7. c/p Tradewinds Kim Byrd, 875 W. Malone Ave, 63801. (573) 471-3965. Fax: (573) 471-8419. Sikeston Trade Fair. 330 H Highway. Blodgett Road. New and used merchandise, garage sale items, crafts, produce. Snack bar. restrooms. (573) 472-9964 or 472-2683. South Peer Antique Mall & Flea Market. 317 South Avenue. 65801. South of town square. 60 dealers. Hours 9:30-5pm. Furniture, glass, china, linens, jewelry, primitives, toys, books. (417) 831-6558. Cherry Tree Flea Market. 1459 E. Cherry. 65801. Monday-Saturday 10am-6pm. Sunday 12pm-5pm. Used furniture, collectibles, comics, clothing, jewelry, new and used electronics. (417) 831-7230. S.T.D. East Flea Market, (formerly known as The Variety Shop) 1820 E. Trafficway. 65801. Hours 10am-6pm. Glassware, baseball cards, toys, crafts, books, furniture, collectibles, antiques. (417) 831-6367. S.T.D. West Flea Market, (formerly known as The Variety Shop). 651 S. Kansas, 65801. Open 10am-ypm. Fridays until 9pm. Glassware, antiques, collectibles, furniture, books, crafts, toys, baseball cards. (417) 831-6331. G&W Antiques & Collectible Flea Market. 400 W. Commercial. 65801. Open 10am-6pm. Glass, furniture, jewelry, railroad items, quilts, linens, primitives, toys. Credit cards accepted. (417) 869-0061. Olde Towne Flea Market. 600 Booneville Ave. 65801. Open weekdays & Saturday 9:30am-5pm, Sunday 1am-5pm. Closed Tuesdays. Approximately 100 dealers. Antiques, collectibles, furniture. Monthly rentals only, from $125. Snack bar, restrooms, h/a. c/p Lana Hall, Olde Towne Flea Market. 600 Booneville Ave. 65801. (417) 831-6665. Sac River Trade & Antique Mall. Highway 13. Ample parking. Antiques, furniture, collectibles, silver, coins, linens, quilts, glassware, kitchen collectibles, books, art, prints. Snack bar, restrooms, h/a. (417) 756-2201. Park Central Flea Market. 429 Boonville. 65801. Hours Monday-Saturday 10am-5pm. Sunday 12am-5pm. Antiques, primitives, glass, linens, toys, collectibles, china, furniture, sportscards, market is located on 2 floors. (417) 831-7516. Northtown Flea Mart. 3310 N. Glenstone. Indoor market with approximately 20 permanent dealers. Some antiques and collectibles, mostly used & flea market merchandise, lots of bric-a-brac. Monthly rentals only. Market closed on Wednesdays. c/p Peggy Humbird, 3310 N. Glenstone Ave. 65801. (417) 833-3533. Southtown Flea Market. 2139 S.Campbell. 65801. 2 blocks South of Bass Pro. Hours Monday-Saturday 9:30am-5pm. Sunday's 12pm-5pm. 35+ dealers. 5,000 square foot facility. Antique furniture, advertising items, glassware, lots of misc. Free coffee. (417) 882-1707. Great Discoveries Flea Market & Antique Furniture. 416 W. Commercial. 65801. Collectibles, glass, linens, jewelry, primitives, books. Credit cards accepted. (417) 869-9101. Kountry Korner Flea Market. 1917 W. Atlantic. 65801. Hours Monday-Saturday 9am-5pm. Summer hours 9am-6pm. Collectibles, crafts, new merchandise, glass, jewelry, used furniture, tools, lots of secondhand merchandise. (417) 865-9510. Country Corner Flea Market. 351 Boonville. 65801. Hours Monday-Saturday 10am-5pm. Sunday 12pm-5pm. Antiques, collectibles, records, books, tapes, toys, jeans, furniture. (417) 862-1597. Treasure Finders Antiques & Flea Market. 1722 S. Seiger. 65801. Behind Andy's. Hours Monday-Saturday 9am-6pm. Sunday 12pm-5pm. Antique furniture, tools, baseball cards, glass, toys, dolls and general secondhand merchandise. (417) 883-3373. Antique Mart. 305 N. Main Street. Indoor market. Primarily antiques and collectibles with lots of primitives, kitchenware and advertising items. Market is located in a very historic French town on the Mississippi river. (636) 883-7333. Frison Flea Market. 7025 St. Charles Rock Road. Ample parking. Hours 8am-5pm. Average attendance 1,200. Approximately 300 spaces. New merchandise, sportswear, imports, gifts, lots of new decorator and collectible items. Lots of used & secondhand merchandise. Snack bar, restrooms, h/a. Space from $15. daily, electric available. c/p Jack Frison, 7025 St. Charles Rock Rd., 63133. (314) 727-0460. Freddy Bees Flea Market. I-44 & 160 mile market. New and used merchandise, garage sale items, bric-a-brac, crafts, produce. Snack bar. Camping available. (636) 336-4750. Highway 37 Flea Market. Used merchandise, country & farm collectibles, souvenirs, novelties, handcrafts, giftware. Indoor/outdoor market. 9 miles from roaring River State Park. Great trout fishing in the area. Camping available. Market open to food vendors. (417) 662-3890. Mason-Dixon Line Flea Market. I-44 & Highway 50. Inside & outside spaces. Ample parking. Primarily new merchandise and secondhand junque. Snack bar, restrooms, h/a. (636) 583-2014. B & B Swap & Shop, Flea Market & Large Variety Mall. Highway 50 and Southside Road. 1/2 mile East of Knob Noster. Hours 9am-5:30pm. Antiques, collectibles, crafts, glassware, primitives, canopys, sports cards, furniture & new merchandise. AJ'S Trade Fair. Highway 7 and Truman Dam. Hours 9am-7pm. Approximately 75 dealers. Indoor/outdoor market with some covered spaces. New amd used merchandise, some collectibles and primitives. Restaurant & bakery. Ample parking. Camping & electricity available. Market is located in center of resort area and often has live entertainment. Space from $3. per day. (816) 438-5707. Wentzville Community Club Flea Market. 500 W Main St, City Park, Downtown Main Street. Large outdoor market with an unusual large amount of antiques and quality collectibles. Limited inside space. New and used merchandise, garage sale items, crafts. Strong attendance for this one day event. Anything you can think of. lots of good stuff with good prices. Anything from the best Auto Decals to Antiques. 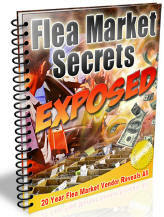 They won the Best Rual Flea Market for Missouri for the past 10 years or more. They have a great snack bar and they are great people to work with. Over 400 vendors and over 2000 customers weekly. Indoor Flea Market. Wentzville Crossing. Old Bells Mall. New indoor market. (636) 980-8949. Hours: 8am - 5 pm. Monthly Flea Market. Fairgrounds. Antiques, collectibles, new and used merchandise, crafts. Food available, restrooms, h/a. Call for current schedule. (417) 256-2198.